The confirmation disaster surrounding Justice Brett Kavanaugh, whose appointment to the Supreme Court was approved by the Senate on a 50-48 vote Saturday, has done much damage to our country and its institutions. And the damage may well continue if Democrats regain majority control of the House and conduct a revenge inquisition against the new associate justice. Because I am a liberal Democrat, I want to see the House flipped to my party as an important check and balance between the executive and legislative branches. But what I don’t want to see is a Democratic House abuse its authority by conducting vengeful impeachment proceedings against Kavanaugh. I have no problem with an objective, preferably bipartisan, inquiry into how to improve the confirmation process. There is much that can be done to make it better. But an investigation of 36-year-old charges against a sitting justice would be an abuse of the powers of Congress. Such an investigation would simply be partisan payback for Kavanaugh’s confirmation. Nor is it likely to produce much new information about what did or did not happened in house in Maryland in about 1982, when Christine Blasey Ford alleges Kavanaugh sexually assaulted her when they were both in high school. Kavanaugh has denied sexually assaulting Ford or anyone else. As to impeachment, no sitting Supreme Court justice has been impeached and removed. One was impeached by the House more than 200 years ago on completely partisan grounds, but ultimately not removed from office by the Senate. It is unlikely that Congress has the power to impeach a sitting justice for alleged offenses he may or may not have committed while a private citizen and a teenager. It would be the first time in American history any impeachment went back that far and focused on such adolescent conduct. Democrats may try to move it forward by alleging that the grounds for impeachment include perjury committed by nominee Kavanaugh in his testimony at his Senate Judiciary Committee confirmation hearing. Before his Supreme Court confirmation Kavanaugh was a sitting judge on the U.S. Circuit of Appeals for the District of Columbia subject to the impeachment power of Congress. But that would be a ploy, somewhat akin to the phony perjury grounds used to impeach President Clinton. Democrats were outraged when Republicans used perjury as a surrogate for sexual improprieties. They should be similarly outraged if their colleagues seek to use perjury as a pretext for religitating old charges of sexual misconduct against Kavanaugh. But when it comes to revenge politics, hypocrisy is the coin of the realm and don’t expect consistency from zealots in either party. The time has come to move forward and not look backward. Let Justice Kavanaugh assume the bench. 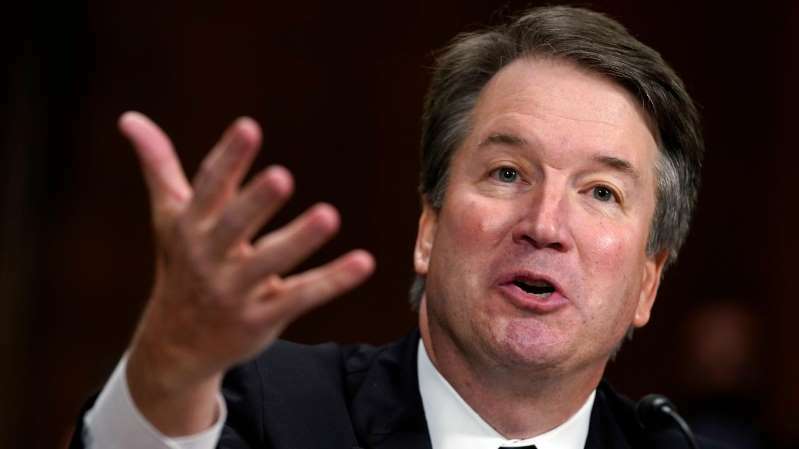 If his conduct on our nation’s highest court is a continuation of his conduct as an appeals court judge, we can expect conservative rulings coupled with excellent judicial demeanor. It would not surprise me – indeed it would please me greatly – if the experiences that Kavanaugh has gone through in the Supreme Court confirmation process increase his sensitivity with regard to due process, freedom of expression and other civil liberties. Judges often reflect their own histories and experiences, both good and bad. A sensitivity to rights often grows out of a recognition of wrongs one has experienced. We have seen that with liberal justices in the past, such as Thurgood Marshall, Ruth Bader Ginsburg, Sonia Sotomayor and perhaps to some degree with Clarence Thomas. We may well see it with Justice Kavanaugh. So let’s hope that if the Democrats regain control of the House in the midterm elections Nov. 6 they will act as an appropriate check and balance on the other branches rather than as a revenge-driven Javert, the villain of “Les Miserables,” obsessed with righting past wrongs rather than preventing future ones. Finally, if the Democrats spend the next month running against Justice Kavanaugh, they will alienate many centrist voters who are sick and tired of partisan gamesmanship and want to see a return to the day when members of both houses of Congress can work together in the interest of all Americans – even those who vote against them. This may sound unrealistic in our age of hyper-partisanship, but one can hope.